The beautiful and scenic Broughton Archipelago is a place of serenity on a calm day. Many sailboats ply these waters off Northern Vancouver Island on Canada's West Coast during the summer months, exploring the endless coves, bays and islands this area is famous for. On this gloriously peaceful day, this sailboat had to use engine power as there was insufficient wind to fill the sails. 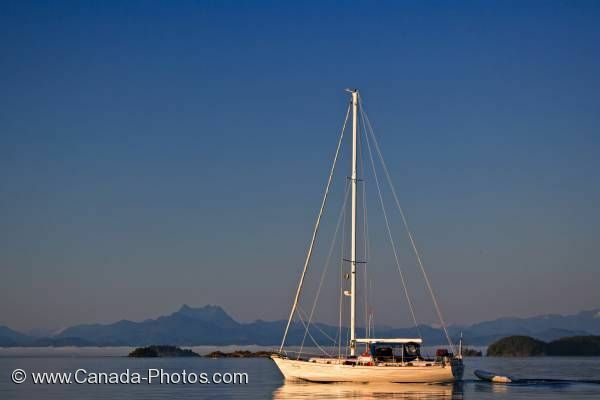 Sailboat cruising in the Broughton Archipelago off the British Columbia Coastal Mountains.